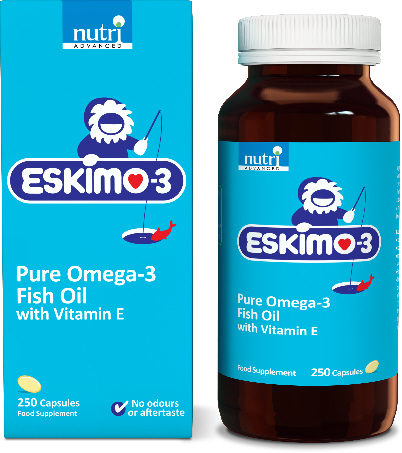 Nutri Advanced Eskimo-3 Fish Oil is Nutri’s popular highly stable fish oil containing the omega 3 fatty acids EPA and DHA. Nutri Advanced Eskimo-3 is a highly stable fish oil from fish living in the deep seas. 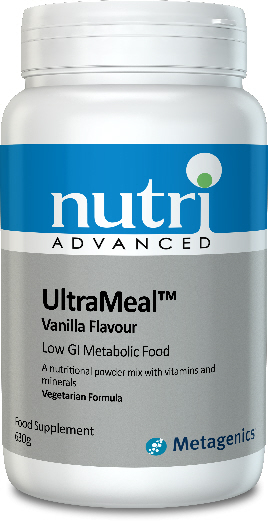 Contains the omega 3 fatty acids EPA and DHA. Eskimo-3 is available as both pure oil (liquid) and convenient capsules. Researchers believe that Eskimos maintain healthy hearts, circulation, joints and skin in part due to their high consumption of omega-3 fatty acids from fish. Eskimo-3 is developed by Swedish researchers with the aim to imitate elements of the Eskimo diet. Eskimo-3 contains the omega-3 fatty acids EPA and DHA which are enriched with the antioxidant vitamin E to help prevent spoilage and maintain stability. Eskimo-3 is available in either liquid or capsule form. The liquid form is flavoured with a pleasant lime flavour. Eskimo-3 is produced according to pharmaceutical standards and has a guaranteed high quality. 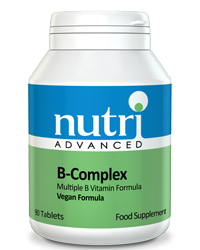 Capsules: Three capsules 1-3 times per day with food or as professionally directed. Liquid: One 5ml teaspoon with food or as professionally directed. After opening store in refrigerator and use within 2 months. Consult with a medical doctor if taking anti-coagulant medication.